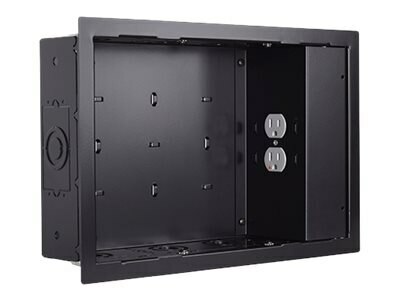 The PAC525FBP2 simplifies flat panel installation by providing an organized, recessed space for routing excess cables. The addition of the flange adds an aesthetic trimmed appearance and drywall mounting capability. A high-performance, non-sacrificial SurgeX power accessory is integrated to protect AV equipment while also improving audio and video performance.